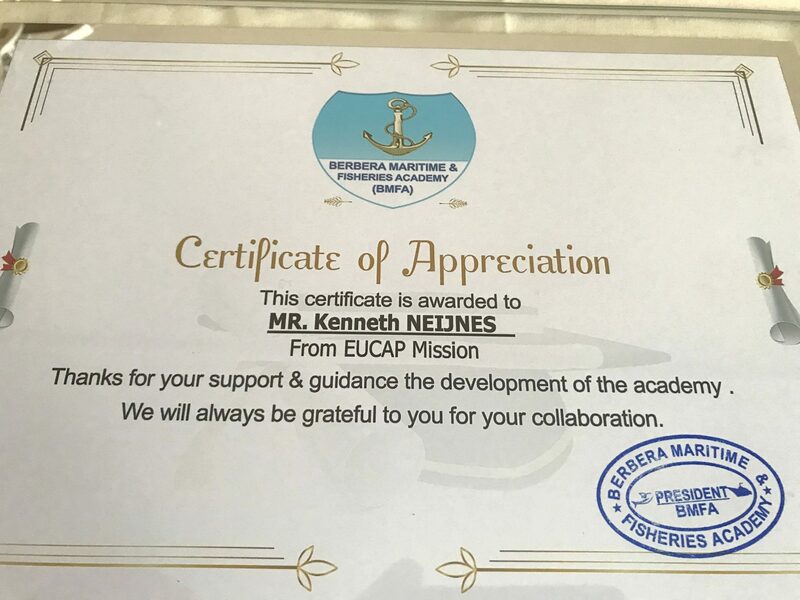 EUCAP Strategic Advisor Kenneth Neijnes was awarded a Certificate of Appreciation from the Berbera Maritime and Fishing Academy (BMFA) for support and guidance to development of the Academy. 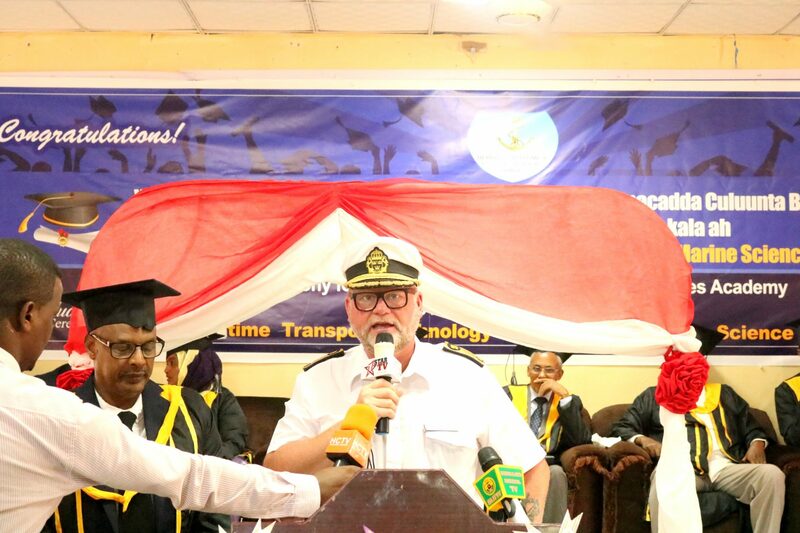 The Certificate was awarded during a graduation ceremony held in Berbera on November 22nd where a total of thirty-two students, including one female, obtained degrees in Nautical Science and Fisheries and Marine Science. Somaliland Vice President H. E Mr. Saylici handed out the certificates. The President of the BMFA, Mr Abdiqani, attended the ceremony, as well as several Ministers, including the Minister of Finance Mr. Sa’ad Ali Shire (also member of the board of the BMFA) and the Minister of Livestock and Fisheries Hasan Mohamed Ali (Gaafadhi).